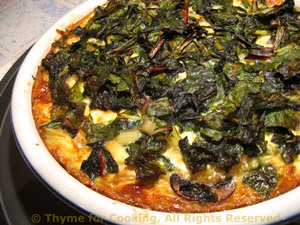 Thyme for Cooking's Main Courses: Grilled Pork Loin, Chard Quiche. Quinoa makes it so much more interesting and adds a meatier texture to the finished peppers than the, more traditional, rice! Use ground turkey if you prefer.... Something else I can't get. Cook quinoa in stock until done. Cut peppers in half the long way (try to find the best flat sides before cutting so that they will lie nicely) and remove stem end and seeds. Finely chop onion, celery; mince garlic. Heat oil in nonstick skillet over medium-high heat. Sauté chili powder and paprika for 1 minute. Add celery and onion, sauté until tender, 5 minutes. Add garlic and mushrooms, sauté 3 minutes longer. 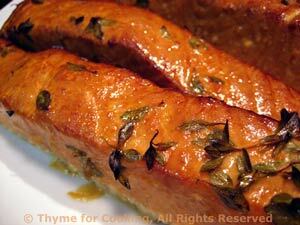 Add stock, tomato paste, oregano, 1/4 cup tomato sauce and hot pepper sauce if using. When stock mixture is simmering, stir cornstarch in to thicken. Remove from heat, add quinoa and stir well to combine. 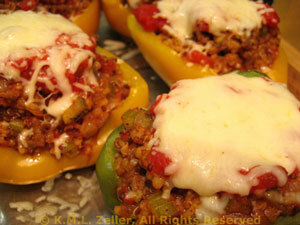 Remove foil, spoon the remaining tomato sauce on top of each pepper and sprinkle with shredded cheese. Bake, uncovered until cheese melts. Note: Keep any extra stuffing warm and serve on the side. 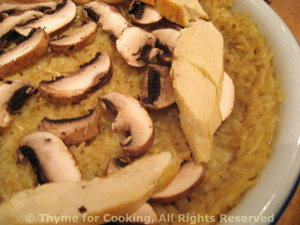 If you cook the rice with water or vegetable stock, you have a lovely vegetarian main course. The rice adds 'substance' to the egg although you really can't tell that it's there. 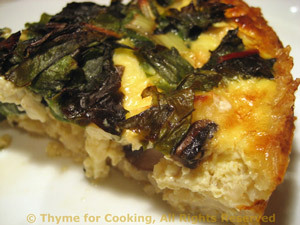 The cabbage retains just enough crunch. They go together quickly if the rice is cooked in advance. Cook brown rice in stock or water according to package instructions. Shred cabbage by cutting slice off of head, lay the slice cut side down and cut into 4ths, then, cutting across, slice1/8 inch thick. Do not use the core of the cabbage - you'll recognize it when you see it. Finely chop onion, celery if using and water chestnuts, if using. In large nonstick skillet heat 2 tsp olive oil and sauté cabbage, onion, celery and water chestnuts until cabbage is wilted and onions tender, 7 - 10 minutes. Put vegetables in a large bowl. Add rice to vegetables along with soy sauce and mix well. If rice was just cooked, let it cool a few minutes while you make the sauce - see below. In another bowl whisk 6 eggs. Add the eggs to the vegetable/rice mixture and stir well. In same skillet heat remaining 2 tsp olive oil over medium-high heat. 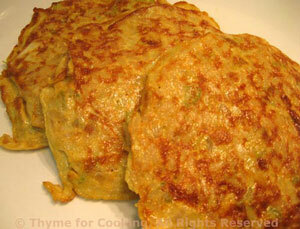 When pan is hot drop egg mixture by 1/3 cupfuls into pan to form patties. 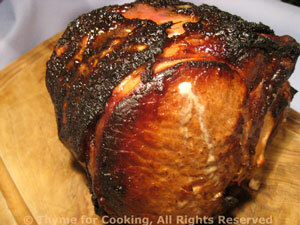 Fry until nicely browned, 5 – 7 minutes. Gently turn and brown the other side. 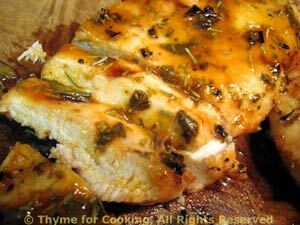 When done, remove to a platter and keep warm in 200F (110C) oven while you make the rest. Heat chicken broth, soy sauce and molasses in small pan over medium-high heat, stirring well to mix in molasses. When hot, stir in cornstarch to thicken. Keep warm while making pancakes.